June sees the largest collection of health and safety solutions in the world come together under one roof at Safety & Health Expo 2017 and co-located shows Professional Clothing Show, IFSEC International, FIREX International, Facilities Show and Field Service Management Expo. On 20-22 June, attendees will be invited back to ExCeL London to trial the latest health and safety products, technologies and services being showcased by 300+ UK and International suppliers. These solutions will include everything from safety harnesses, noise control solutions, footwear and workwear to training, consultancy and risk assessment software with many suppliers offering discounts of up to 50% exclusively at the show. Some notable offers include 20% off Prosense Gas Detection Systems, 50% off Proud2bSafe Ltd’s training packages and free asbestos awareness training for small businesses from UKATA. As well as discounts, visitors will witness a number of brand new product and service launches including Safety Media’s health and safety training needs analysis tool, Specsavers’ JCB safety eyewear range, TB Davies’ telescopic scaffold tower and a new wireless fire alarm from Biosite Systems to name but a few. "Safety & Health Expo puts on the largest free-to-attend seminar programme for health and safety professionals in Europe"
A unique matchmaking programme allows attendees to arrange 1:2:1 meetings with all these suppliers in advance of the show. In 2016 this service was hugely popular with over 14,000 meetings requested and 900 taking place across the Protection & Management Series in 2016. As well as providing attendees with the latest health and safety solutions, Safety & Health Expo puts on the largest free-to-attend seminar programme for health and safety professionals in Europe. This includes over 75 CPD accredited sessions covering critical topics including the impact of Brexit, improving safety culture, mental health and wellbeing, how best to protect lone-workers, leadership and much more. 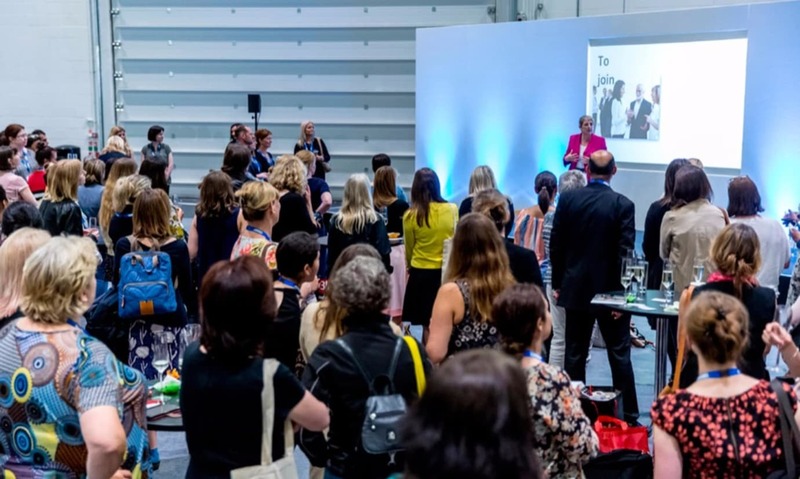 These seminars will take place in four theatres: the Keynote Theatre, Operational Excellence Theatre, Professional Development Theatre and Lone Worker Theatre – all of which are completely free to attend. The Keynote Theatre, sponsored by Honeywell, welcomes high profile speakers from across the industry to share their expertise on the most important issues in health and safety. The Operational Excellence Theatre will provide technical and legislative content programmed in partnership with RoSPA, BOHS, British Safety Council and IOSH. The Professional Development Theatre will focus on developing a career in health and safety, featuring soft skills training as well as options for qualifications and tips from recruiters and the Lone Worker Theatre will cover risk reduction techniques designed to keep solo workers safe. Our best ever inspirational speaker line-up, comprised of world-renowned physicist, Professor Brian Cox OBE; double Olympic gold medallist, Dame Kelly Holmes; Rugby Union Referee, Nigel Owens MBE; and Falklands War veteran, Simon Weston CBE will take to the Keynote Theatre stage on each day. Last year’s inspirational speakers Tim Collins OBE, Kate Adie OBE and James Cracknell OBE drew large crowds of over 400 individuals from across the security, safety, fire, facilities management and service management industries. For the first year, attendees will also be able to discuss their legal needs with representatives from Turnstone Law in the brand new 1:2:1 Legal Clinic sponsored by Barbour EHS. The clinic will be both informal and interactive, providing bespoke advice alongside scheduled seminar sessions covering FFI for the future, New UV requirements, a year on with the new sentencing guidelines, crisis management and more. Safety & Health Expo will once again celebrate talent and diversity in the profession, gathering the community together on the 21 June for a series of networking and awards events, under UK Health & Safety Week. The SHP Rising Star Awards will run for their second year, expanding into three categories Biggest Impact, Rising Star UK and Rising Star International. Winners of the awards will receive a splendid trophy and will be featured in a post-show article featured on SHP Online. These awards will be preceded by a Women in H&S networking event and followed by the unveiling of the Most Influential in Health & Safety list. For the second year running, Safety & Health Expo will partner with the Professional Clothing Show, bringing attendees more corporate wear, workwear and uniform than ever before alongside PPE. Expect to see a range of new products and live demonstrations from key suppliers, on the lively Professional Clothing Show catwalk with brands such as Badgemaster, Honeywell and ØRN International showcasing their latest clothing solutions. Safety and Health Expo 2017 is thrilled to also have the support of long-standing show partners, IOSH (Institution of Occupational Safety & Health) and RoSPA (Royal Society for the Prevention of Accidents), as well as a host of supporters and sponsors, contributing to the success of the show. Safety & Health Expo will be presented once again as part of UBM EMEA’s Protection & Management Series, the UK’s largest event dedicated to protecting and managing property, people and information. The series incorporates major events including Safety & Health Expo along with Professional Clothing Show, IFSEC International, FIREX International, Facilities Show and Field Service Management Expo, annually attracting more than 45,000 attendees over three days to ExCeL London. The series of events will run from 20-22 June 2017. Get your free ticket at www.safety-health-expo.co.uk.